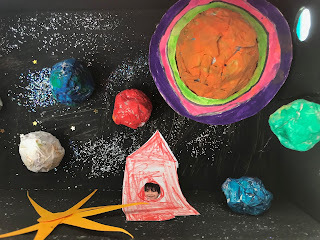 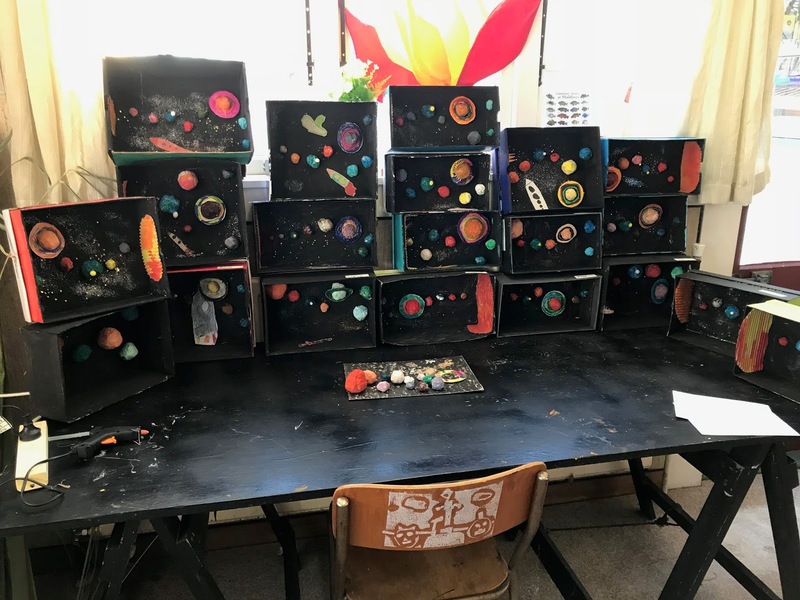 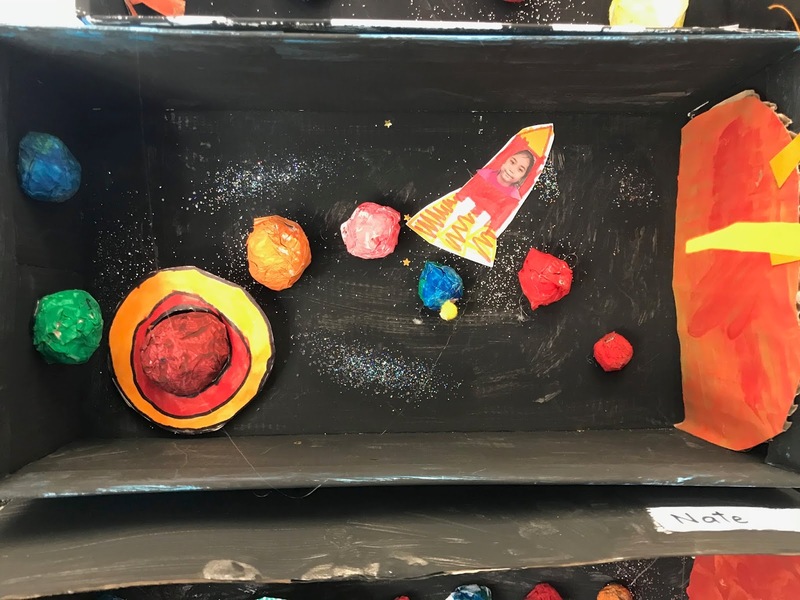 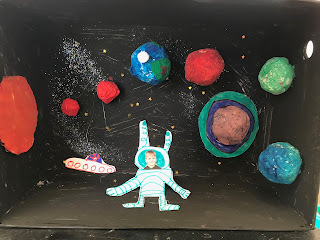 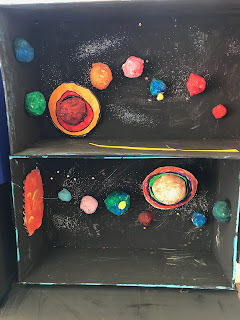 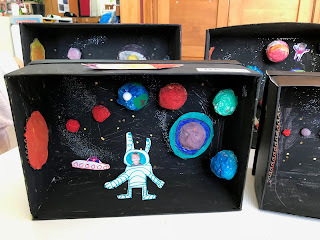 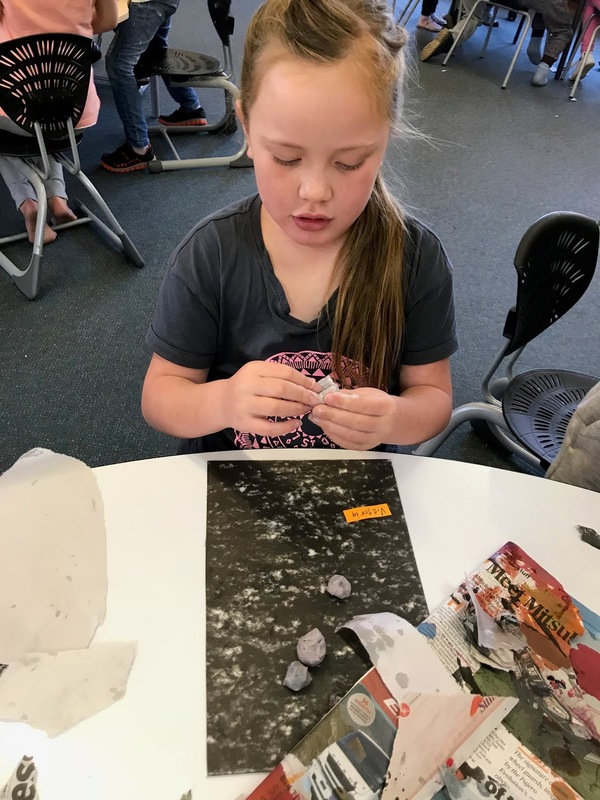 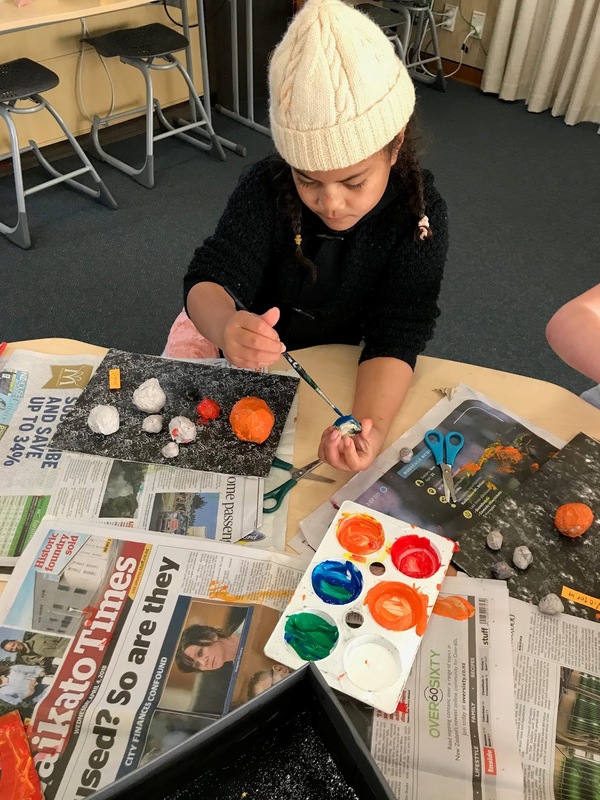 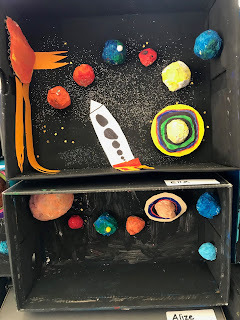 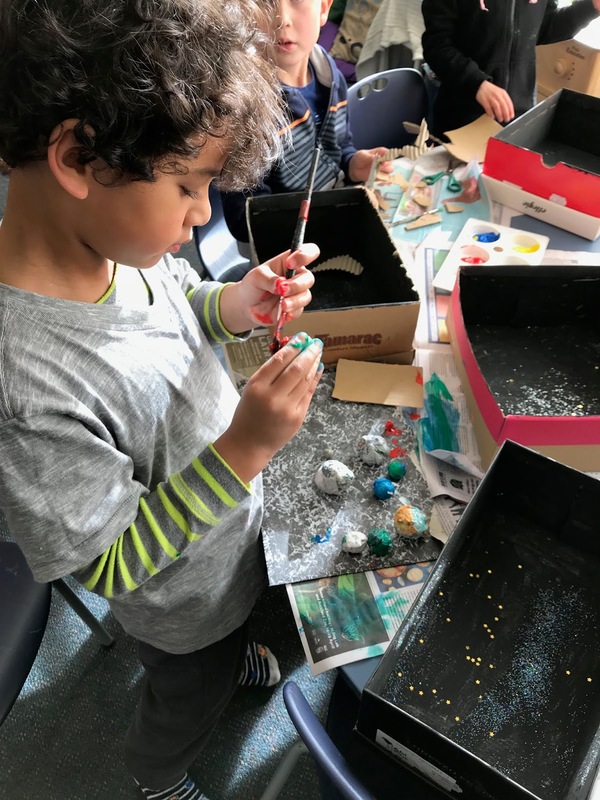 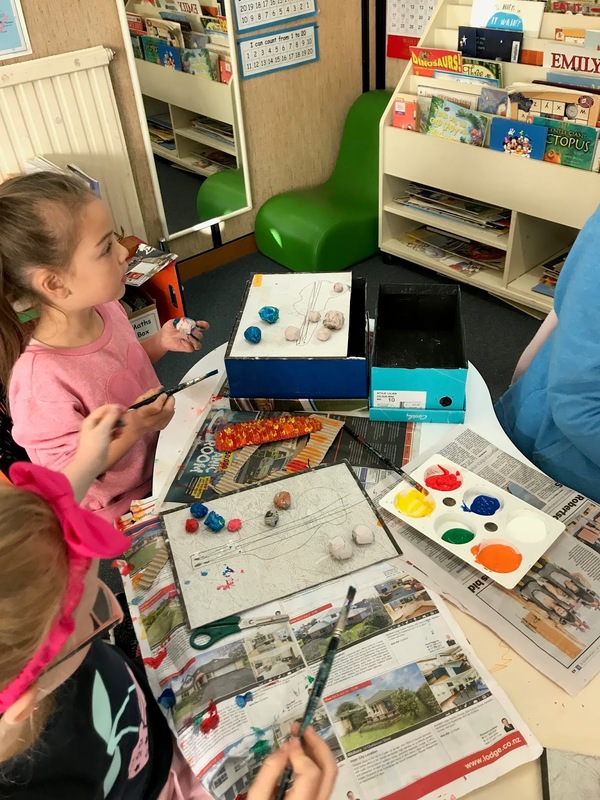 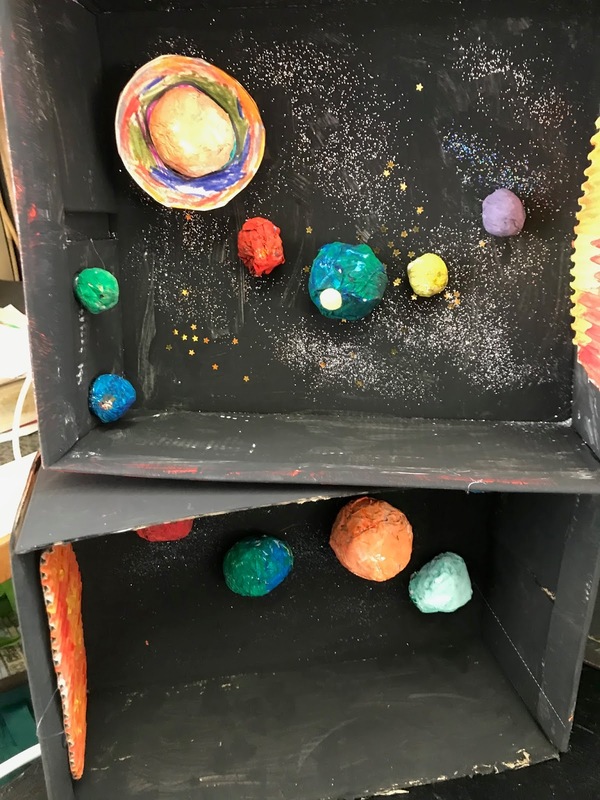 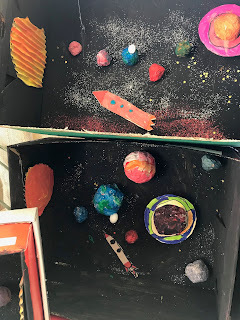 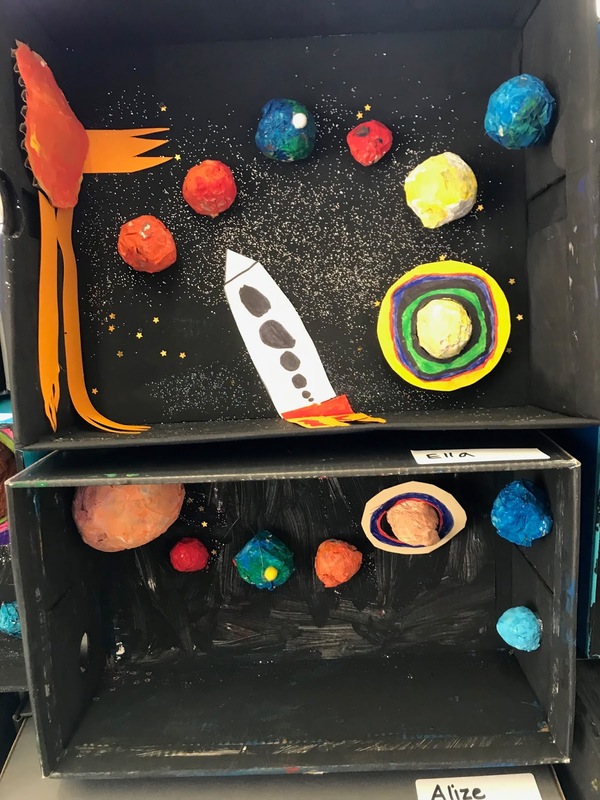 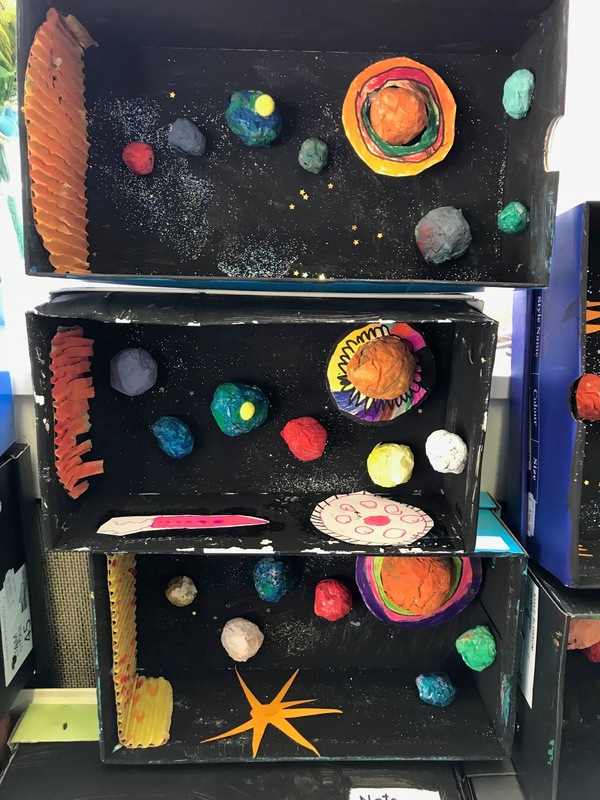 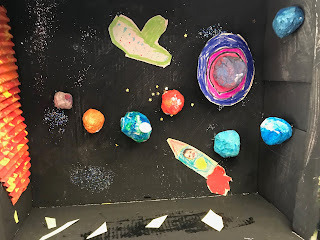 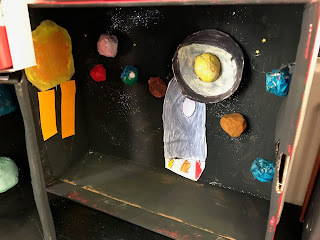 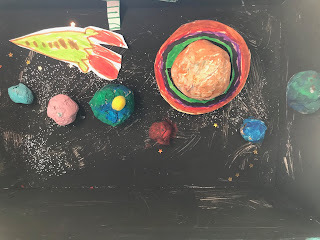 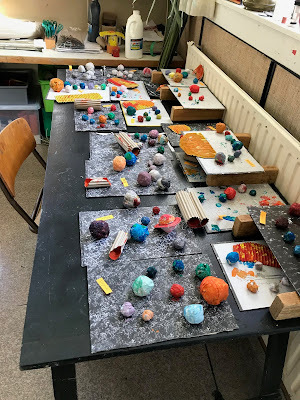 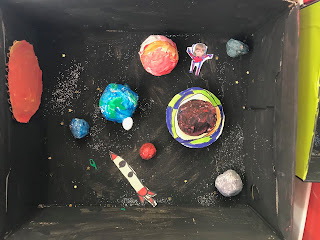 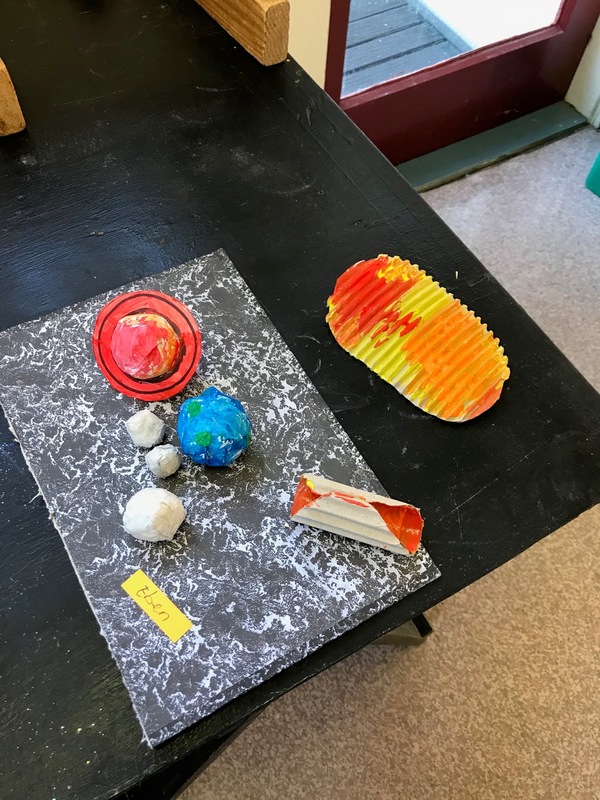 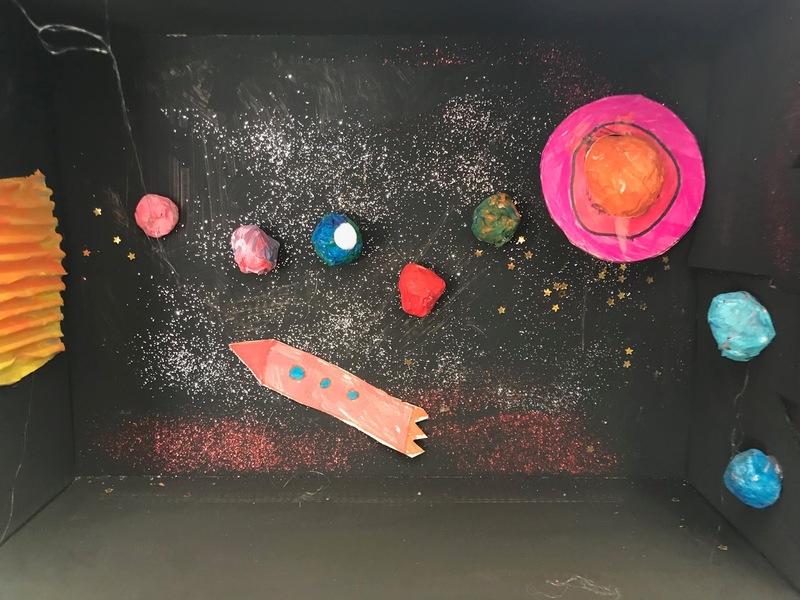 During the last week of Term 2 we created some solar system diaramas. 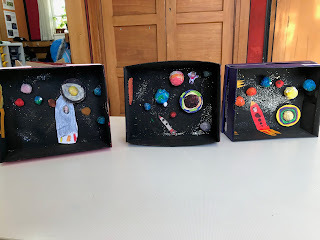 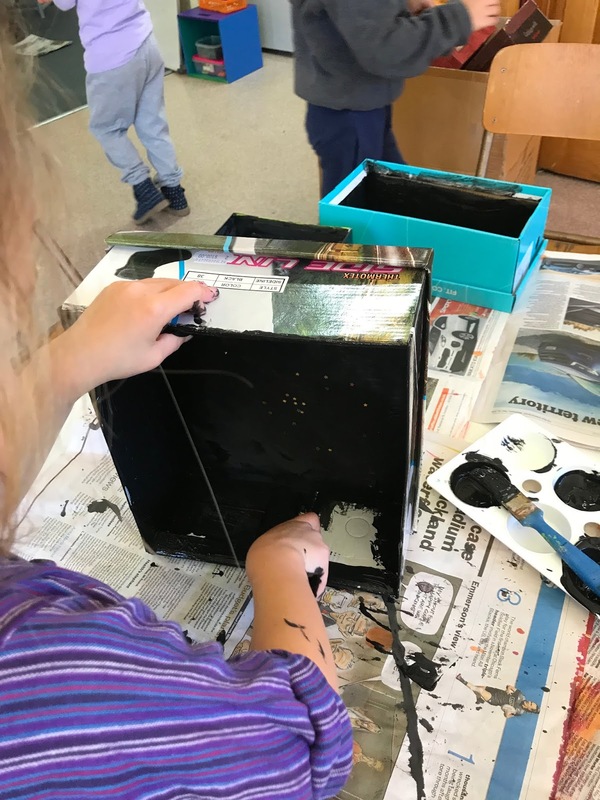 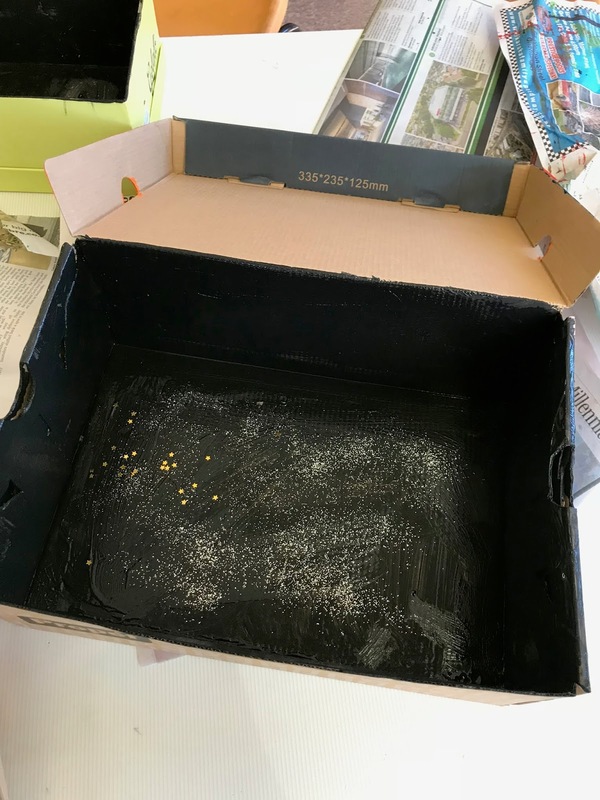 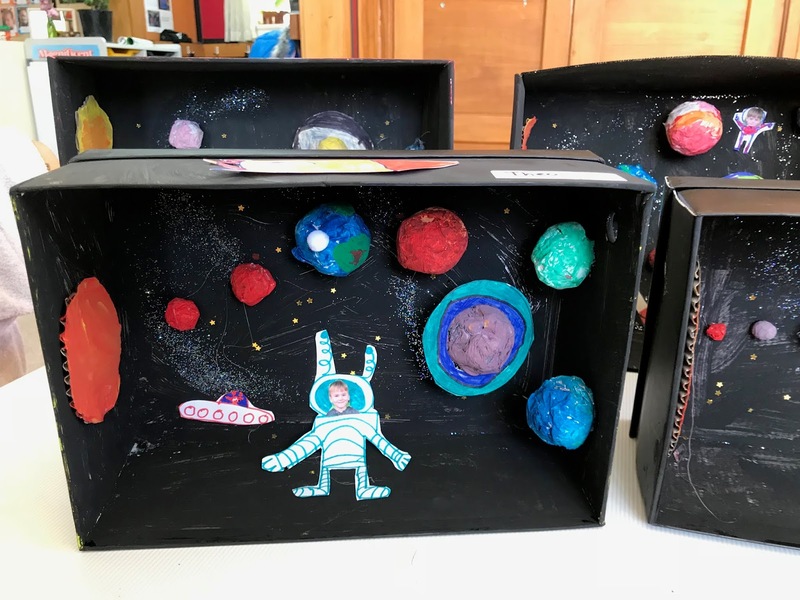 First we painted the inside of shoe boxes black to look like deep space. 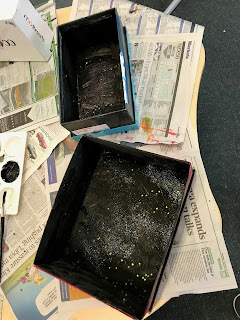 While the paint was wet we sprinkled glitter to look like stars. 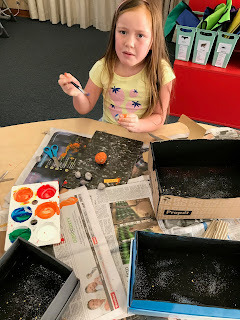 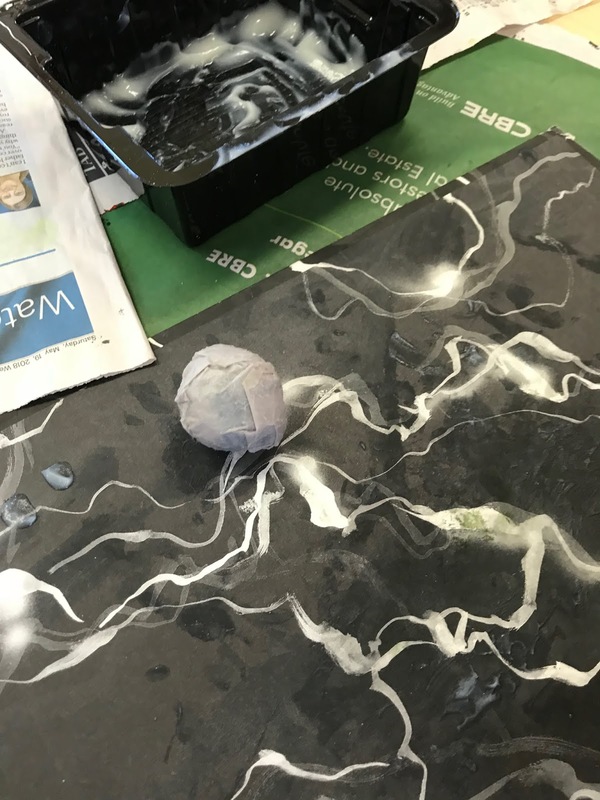 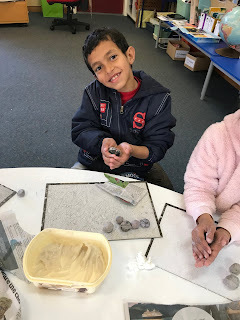 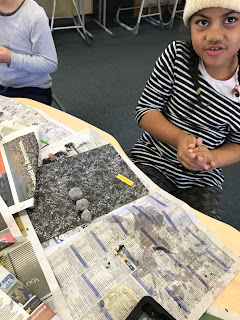 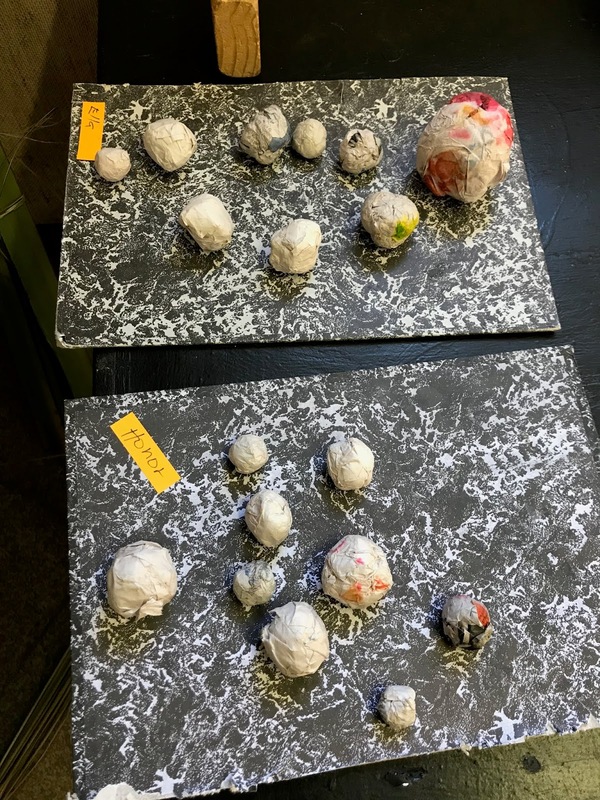 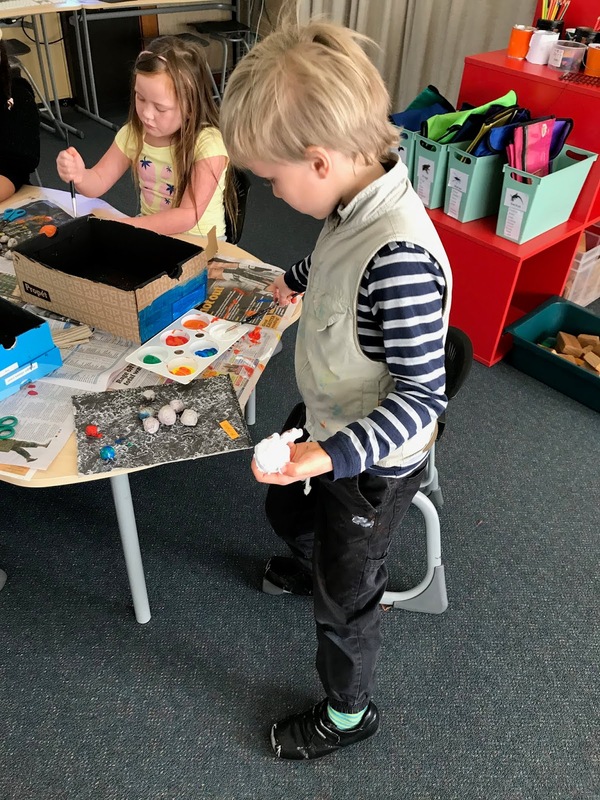 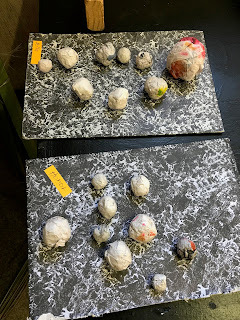 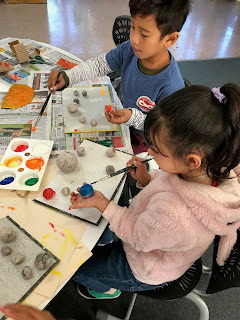 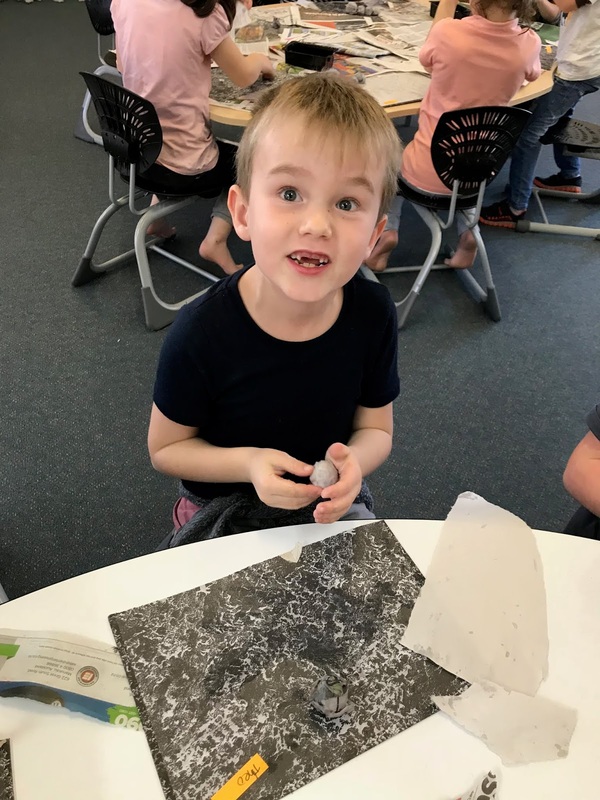 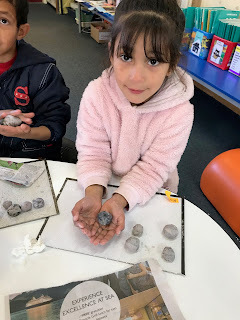 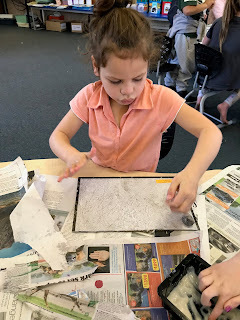 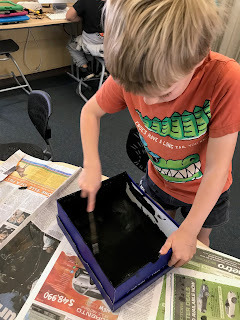 Next we made our planets out of papier mache. 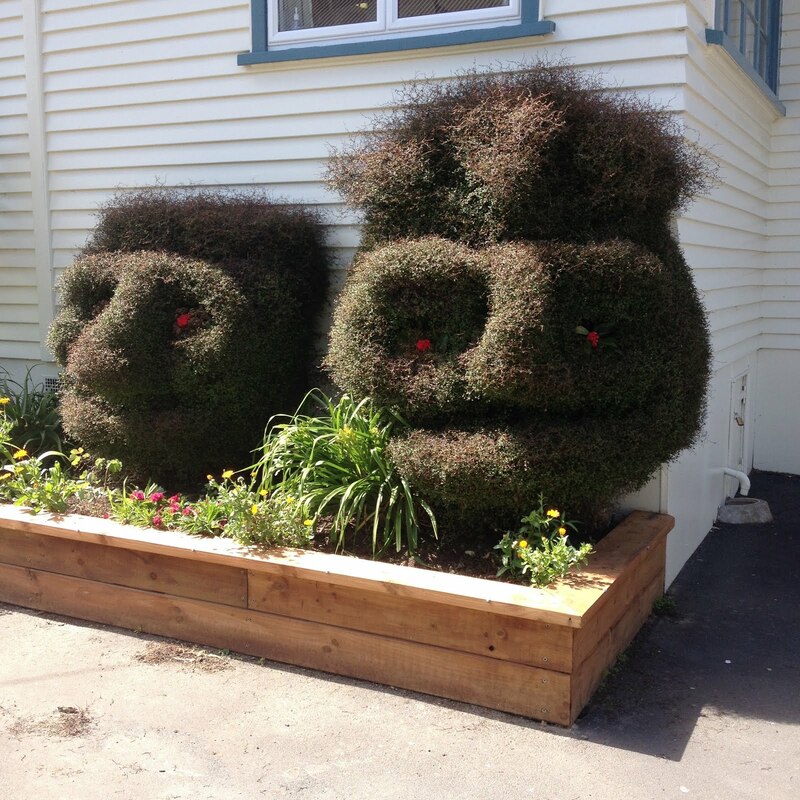 The next day, after the planets had dried, we painted them. 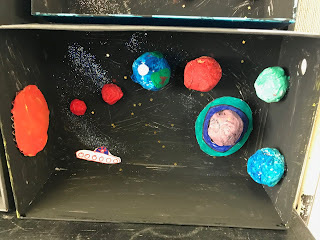 The sun needs to be much bigger than the planets so we made it out of corrugated cardboard. Finally we glued the planets into position. 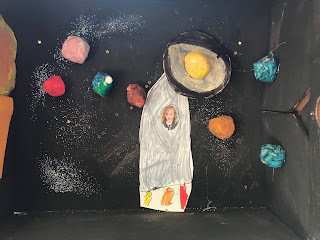 Some people added rockets and astronauts and cut out a photo of their faces to look out of the window or face mask.